Hello friends! 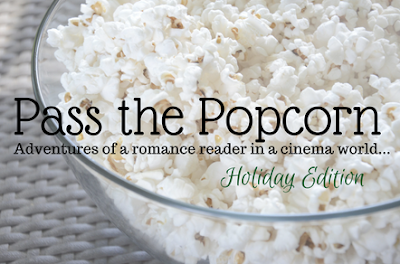 Welcome to the first Pass the Popcorn Holiday Edition! I don't know about you, but I've been super excited for the new Hallmark movies ever since they first announced the line-up. To be honest, I pretty much live on holiday romance, whether it is in a book or on the small screen, from October to February. With all of the fabulous new Hallmark movies, I can't wait to chat about them. And did you know that there are a couple book adaptations this year? So if you're a fan of Susan Mallery or Samantha Chase, keep an eye on the Hallmark channel. We're starting off with an old favorite of mine. Okay, it came out last year... But I'll stop to watch it every time I come across it. Feuding families... Small town romance with a pumpkin pie bake-off. You either come away from this movie with a serious craving for anything pumpkin flavored or you'll have the insane urge to bake. Don't let the title fool you, though... Pumpkin Pie Wars is not something you'll see on the Food Network, although it really should. Yes, it is a cutesy romance that'll give you a sweet tooth, but that's one of the things I love most about this time of year. Not to mention Eric Aragon is seriously cute. The second movie I want to talk about Falling for Vermont, which stars Julie Gonzalo who also plays the heroine in Pumpkin Pie Wars. The element of this movie that stood out the most to me is the amnesia story line. It felt like the filmmakers were playing attention to what is selling in the romance market because amnesia is an element that we're seeing more and more in romance books. So it was interesting to see that play out on the screen. I don't really have an opinion on amnesia in romance since I haven't read one yet, but what I appreciated was that nobody lied to her. They honestly had no idea who she was and she was able to trigger her memories by herself. Loved that! 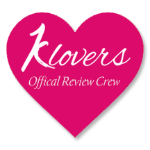 Do you like holiday romances? What about Hallmark movies? Comment below and let's chat! Ten years ago, Faye and Lydia each opened their own bakeries in Emeryville, Ohio, after a personal and professional fall-out during a local Pumpkin Pie contest. Now their children - and co-workers - Casey and Sam, are set to carry on the rivalry as they go head-to-head in the same contest. There's only one problem for these two people who are supposed to hate each other: they start to fall in love. Eeek I hate amnesia romances...... but Pumpkin Pie Wars sounds fun!